“24-Hour Business Plan Template: How to Validate Your Startup Ideas and Plan Your Business Venture” is written by Steven Fies, an entrepreneur and author of varied books like “Job Interview Tips for Winners” and “The Key to Making Money on Craigslist”. “24-Hour Business Plan Template” is a book intended to help people iterate quickly on formulating their business plans so that they can focus on execution and not get bogged down by analysis paralysis. The book is pretty small. Each of the topics above is covered at a high level in a section of its own. Steven Fies has also created some ready to use templates for the plan and cash flow which might be useful. 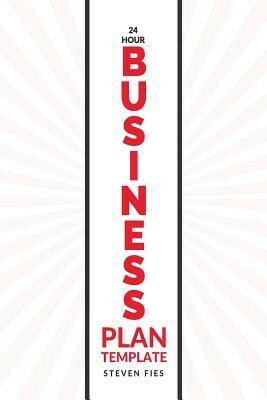 The basic aspects of creating a plan have been covered in this book. The templates are a good idea. While not of much of use to me, I am sure some people will find this useful. This book is superficial. I felt that the topics were not tackled in detail. Also, the lack of examples in the book and the templates made this less effective than it could be. I get the feeling that this book is aimed towards people who have no idea of a business or a business model. For instance, I would have found this very useful when I started my MBA and didn’t know what a business case was. There are better books like “Business Model Generation” which are more detailed and nuanced.